You can use AFerry to book a Majestic Fast Ferry to Batam, Harbour Bay, Sekupang and NongsaPura in Indonesia and Singapore Harbourfront in Singapore. AFerry always has cheap prices for Majestic Fast Ferries and the latest special offers. 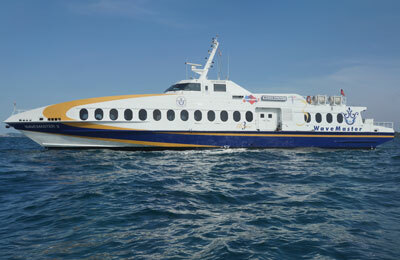 Majestic Fast Ferries operates high-speed services daily between Singapore and Indonesia. 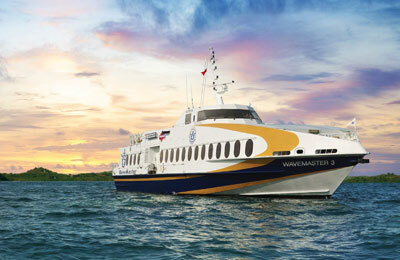 On board you will find comfortable, modern facilities to make your trip a pleasurable, relaxing experience. So, whether you choose the Singapore Harbourfront to Batam ferry, the Tanjung Pinang Tanah Merah service, or any other Majestic Fast Ferries sailing, you're bound to find a great deal with AFerry! How long before departure should I arrive for Majestic Fast Ferries?